E-commerce behemoth Amazon has reportedly begun to draw down engineering resources in its mobile phone team, shedding jobs and re-focusing efforts on tablets and other home electronics in the wake of the Fire Phone's dismal showing. While the company has not ruled out producing another mobile phone, development of a next-generation device has been extended "indefinitely," according to the Wall Street Journal. Citing sources, the paper says that dozens of Fire Phone engineers have been let go in what is said to be the first round of layoffs in the history of Amazon's hardware division. Amazon devices chief David Limp said late last year that the company erred when it chose to put the Fire Phone in the same pricing strata as other flagship handsets, including the iPhone. 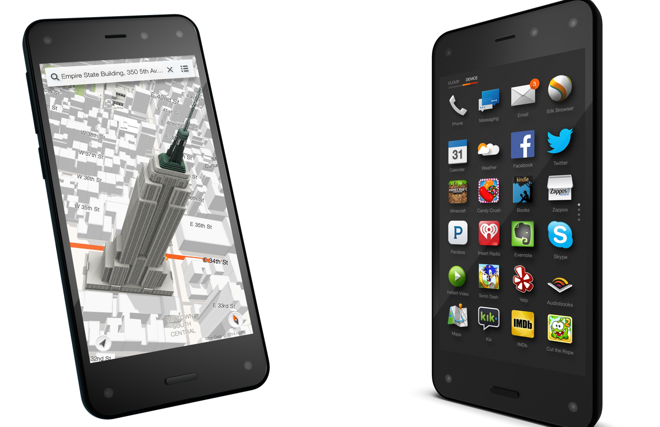 Even a massive cut to the subsidized cost of the device— from $199 to $0.99— could not drive sales, however, and Amazon was eventually forced to take a $170 million charge related to Fire Phone development and unsold inventory. That is believed to have forced a re-examination of Amazon's entire hardware effort, leading to the rollback of other ambitious products— like a smart stylus, a new type of projector, and a jumbo 14-inch tablet— that had been in various stages of development. Now, Amazon's hardware group is said to have rededicated itself to home electronics. The recently-released Fire TV and Echo have been generally well-received by buyers, and the company is said to be working on a "high-end computer for the kitchen," continuing a decades-old effort by technology companies to embed computing into what is the most popular room in many homes.